When will be Steven Raichlen's Project Smoke next episode air date? Is Steven Raichlen's Project Smoke renewed or cancelled? 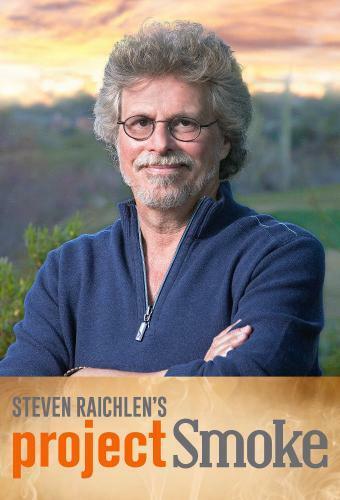 Where to countdown Steven Raichlen's Project Smoke air dates? Is Steven Raichlen's Project Smoke worth watching? "Smoking is the new grilling," says Steven Raichlen. With these words, the man who revolutionized modern American grilling takes on a new challenge: Steven Raichlen's Project Smoke. Using cool tools, fragrant fuels, and a world-class collection of smokers and grills, Raichlen explains traditional and cutting-edge smoking techniques with the intelligence, substance, and style that made Raichlen's Primal Grill and Barbecue University two of the top rated food shows on public television. The flavors of Mexican food are explored. Recipes include ember-roasted salsa with grilled tortillas; bacon, bean and egg quesadillas; chipotle-marinated pork tenderloin with grilled nopalitos corn salad; and spice-grilled pineapple with mezcal and whipped cream. South American dishes are explored. Recipes include: Peruvian roast chicken with aji amarillo sauce; choripan; and Brazilian churrasco (mixed grill) with molho a campanha. Global flavors are explored. Recipes include maple sriracha-smoked chicken legs; four bean salad; burgers three ways; inside-out cheeseburgers with homemade ketchup; lamb burgers on pita with yogurt sauce; and Thai flavor veal burgers with Asian peanut sauce. Steven Raichlen's Project Smoke next episode air date provides TVMaze for you. EpisoDate.com is your TV show guide to Countdown Steven Raichlen's Project Smoke Episode Air Dates and to stay in touch with Steven Raichlen's Project Smoke next episode Air Date and your others favorite TV Shows. Add the shows you like to a "Watchlist" and let the site take it from there.